PEACEFUL CONSERVATION LOT IN THE GATED COMMUNITY OF STRATFORD COMMONS. 2 BEDROOM 2.5 BATH FULLY UPDATED! KITCHEN FEATURES GRANITE COUNTER TOPS, VENETIAN PLASTER WALLS, STAINLESS STEEL APPLIANCES, WOOD CABINETS, WATER FILTER SYSTEM AND BAY WINDOW! 4 SKYLIGHTS THROUGHOUT THIS LIGHT AND BRITE HOME! LOVELY 2 SIDED FIREPLACE IN LIVING AREA, PLANT LEDGES, CUSTOM BLINDS THROUGHOUT HOME! 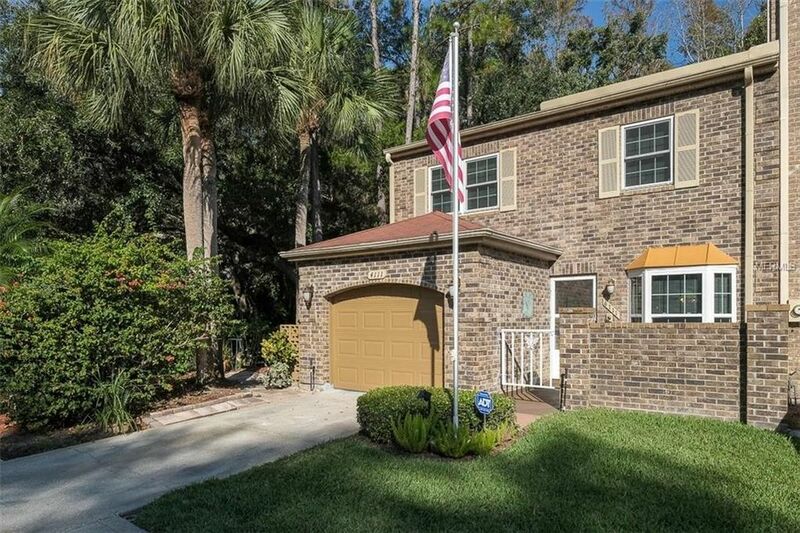 CLOSE TO SOUGHT AFTER EAST LAKE SCHOOLS, SHOPPING, COUNTY PARKS AND BEACHES! STRATFORD COMMONS HOA ONLY $225 PER MONTH INCLUDES BASIC CABLE, GROUND MAINTENANCE, PEST CONTROL, WATER/SEWER, TRASH REMOVAL AND COMMUNITY POOL. NEWER ROOF AND SKYLIGHTS. A/C 2015 WITH ELECTRONIC RETURN FILTER. NEWER WINDOWS AND SLIDERS - HURRICANE RESISTANT!! BETTER HURRY! Directions: EAST LAKE ROAN/MCMULLEN BOOTH TO EAST ON RIDGEMOOR BLVD. TO NORTH (LEFT) ON DAVENTRY LANE.